The Green Bans – 40 years on: where does the profession stand today? 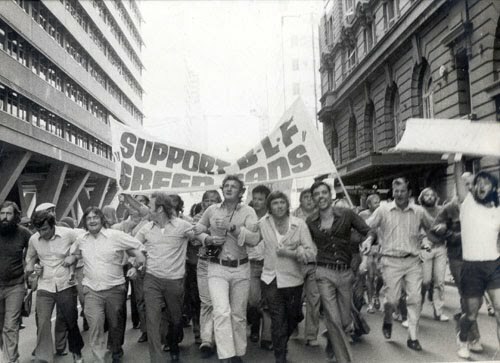 Without the green bans movement of the 1970s, Sydney and many other cities would look very different today. The efforts of campaigners like Jack Mundey bought about lasting political and legal reform to protect the heritage of many special buildings, places and sites. 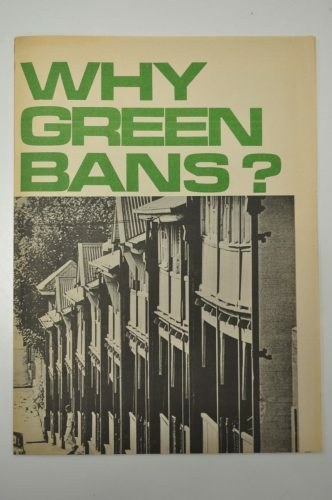 Forty years on from the Green Bans movement, where do we stand on conserving our architectural heritage and what role should the profession play in contemporary debates? Join us for a lively discussion incorporating voices from across architecture, heritage, political history and contemporary campaigning to address the shape and role of activism in architecture today. Full speaker list announced soon. Chaired by Andrew Nimmo, NSW Chapter President. Organised with and featuring Jim Colman, author of ‘The House That Jack Built – Jack Mundey, Green Bans Hero’.